Our Air intake parts are great for Truck Repair shops, Owner Operators or the do-it-yourselfer for fabricating custom exhausts or replacing worn out Air intake Exhaust parts. 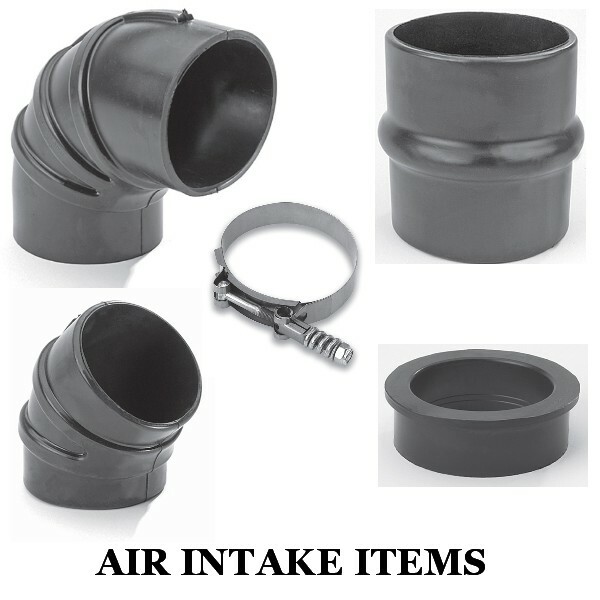 These flexible rubber adapters and elbows have smooth radii and inside surfaces to minimize flow resistance within the air intake system. These rubber intake products are for heavy-duty applications. Air Intake tubes and related components allow you to design your very own custom cold air intake system. Our air intake products are designed and built using high quality materials and engineering sources.